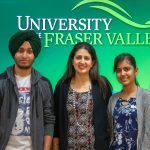 A business student at UFV would certainly have an eye to boost a business, but New Business Development is one subject that would help students get an insight of the industrial problems that the students would face in the real world. 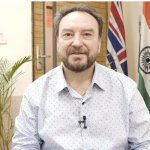 It’s one thing to know about a buzzing place in The City Beautiful but it’s a whole another experience for the students of Fraser Valley India to talk to Girimer Singh Maan, partner at Casa Bella Vista, a place with authentic Mediterranean ambience and classy yesteryear’s pizzeria feel. In his lecture, he shared his business development strategies and the evident complications he faced to reach the pinnacle. “It is you who will become the champions of tomorrow’s change” said Mike Ivanof before Girimer took the centre stage and fascinated the students with his insightful talk. 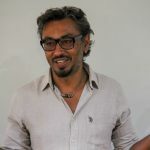 Right from the start, Girimer emphasised that having the right vision and putting positive energies in his ideas is what has worked best for him. Living by his ideologies he said, “It’s always better to be an optimist than a pessimist”. Girimer travelled globally with some pessimism but something in him called him back to his country to open a food joint that went on to create a yardstick for many food joints in and around town. Adopting an offbeat way to do their preliminary research, Girimer and his wife started their excursion from Manali all the way to south touching Kanyakumari and back. This two-month journey was what brought about the vital change for them. Visiting various places on their trip and gaining the right experience, they came back and knew explicitly what to do. Impressed by Girimer’s idea, a chef decided to work with him in Manali during Goa’s off season. 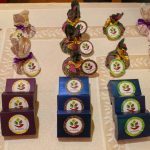 The chef saw potential in his idea and this was an interesting story Girimer shared with the students telling them how every step in running a business taught him a new lesson every day. Stories kept coming one after the other putting forth the real lessons Girimer learned along the way. With numerous hitches during the growth of his business in Chandigarh, the deadlocks he faced and his fixes to them was what the students learned from. Starting a new business is not an easy feat and one has to face innumerable hurdles and failures on the way. Girimer with his sheer conviction kept referring to his failures and Dr. Ivanof supported his statement by telling the students when he read an acronym where FAIL stood for First Attempt In Learning. Bringing a smile on all everyone’s face, the floor was now thrown open to some enticing questions students asked. What were some key moments in your journey that you faced, since inception till today? What I do is honestly not my passion but that’s okay. I enjoy the starting of things. Don’t expect yourself to have all the qualities of a doctor, an engineer or anything else. Just have an idea and feel good about it. Take your chances. For my passion, I am still looking for it! So when I was about to start Casa Bella Vista in Chandigarh and I had casual conversations about it, a lot of people would say, “In Chandigarh? It’s never going to work.” My wife and I both are vegetarians. Though I stopped eating meat 13 years ago, she still has her weak points. There is also an emotional angle to it, neither of us wanted kill someone and make money out of it. There has been a rise in the number of restaurants in the town which have added to your competition. What are your comments on this? I believe it is important to be different. Only a regular product will be effected in such a case. But more restaurants means more people and more sales. Has response been consistent ever since or have you gone through the ups and downs? We’ve had a really good innings till now and I don’t know who to thank? God, Maybe. It feels special to see those face come back and enjoy the food that we serve. It’s a completely different feeling altogether. When you went abroad, what were those specific things that you learned which helped you here? Going abroad opened my mind up to a whole new level. I was now more independent and confident than ever before. Another important quality was that it made me believe I can manage things on my very own.